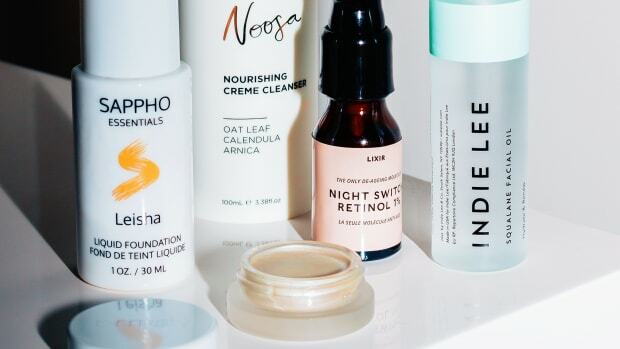 You might just hate creamy moisturizers. Usually oil- and silicone-based, they can feel heavy, leave your T-zone shiny and, on the wrong skin, may even trigger breakouts. 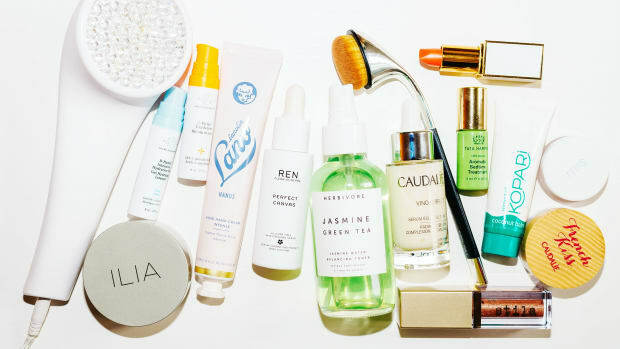 But there&apos;s a whole other category of moisturizers out there that are the complete opposite—gel moisturizers! Gels typically have a water or aloe vera base, are often oil-free, and are ideal for anyone seeking lightweight hydration. They absorb fast, won&apos;t leave skin feeling greasy and are unlikely to exacerbate acne. No wonder they&apos;ve long been favoured by normal-to-oily skin types, especially in the summer months. But that&apos;s not to say other skin types couldn&apos;t use them, too. If a gel moisturizer isn&apos;t quite hydrating enough on its own, you can easily layer it over a hydrating serum and/or under a richer cream or face oil. Drunk Elephant B-Hydra Intensive Hydration Gel is a light gel that sinks in fast with zero residue on the skin. I love that it&apos;s silicone-free, with vitamin B5, hyaluronic acid and pineapple ceramides to boost hydration for up to 24 hours. Indeed Labs Hydraluron Moisture Jelly is a clear, hyaluronic acid-based jelly that dispenses through a push-pump and feels so refreshing to put on. 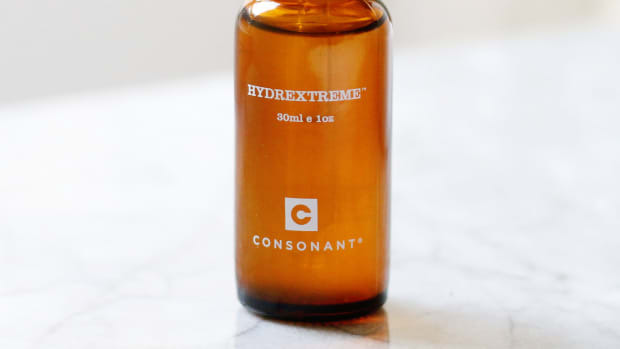 Despite the light texture, the high-molecular weight hyaluronic acid they use helps form a protective layer on the skin surface, which prevents moisture evaporation. No silicones in here either. As a gel-cream, Kiehl&apos;s Ultra Facial Oil-Free Gel Cream has the creamy feel of a regular moisturizer with the weightlessness of a gel. It&apos;s also free of oils, silicones, fragrances, dyes and parabens. There is alcohol in here, but any drying effects would be offset by so many moisturizing ingredients. Ingredients: Aqua/Water/Eau, Glycerin, Alcohol Denat., Propanediol, Glycereth-26, Isononyl Isononanoate, Ammonium Polyacryldimethyltauramide/Ammonium Polyacryloyldimethyl Taurate, Imperata Cylindrica Root Extract, Phenoxyethanol, Sodium Benzoate, Propylene Glycol, Potassium Sorbate, Sodium Hyaluronate, Pseudoalteromonas Ferment Extract, Citric Acid, Caprylyl Glycol, Carbomer, Biosaccharide Gum-1, Panthenol, Cucumis Sativus Juice/Cucumber Fruit Extract, Acrylates/C10-30 Alkyl Acrylate Crosspolymer. Osmia Organics Active Gel Toner is a fresh, fragrant, all-natural gel containing hyaluronic acid, white tea, calendula and aloe. The term "toner" is a little misleading; unlike acid-based liquid toners, this product is meant to be used as a light layer of moisture. The botanical ingredients will help soothe and soften the skin, and reduce redness. Arcona Magic White Ice is an ultra-lightweight gel that both moisturizes and protects against environmental damage. Packed with natural ingredients, it contains vitamin B5, vitamin E, cranberry extracts and white tea to help neutralize free radicals. The brand never uses petrochemicals, binders or fillers, chemical stabilizers, parabens, perfumes or dyes. Dr. Alkaitis Organic Soothing Gel is a soothing, hydrating, anti-inflammatory gel that would be perfect for sensitive, reactive and oily skin types. The all-natural formula contains organic grape alcohol—which they claim is actually good for your skin, not drying! It&apos;s also antibacterial to help with blemishes. Patchology AquaFlash Daily Gel Moisturizer is a silky, non-sticky gel with vitamin B5, hyaluronic acid and aloe vera. There is a little bit of silicone in here (cyclopentasiloxane), but it&apos;s far down the ingredients list. Ingredients: Water (Aqua/Eau), Glycerin, 1,2-Hexanediol, Saccharomyces Ferment Filtrate, Panthenol (Vitamin B5), Melia Azadirachta (Neem) Leaf Extract, Sodium Hyaluronate, Aloe Barbadensis Leaf Juice, Allantoin, Sclerotium Gum, Phenoxyethanol, Cetyl Ethylhexanoate, Sodium Polyacrylate, Sodium Carbomer, Ceteth-20, Cyclopentasiloxane, Steareth-20, Triethylhexanoin, Ethylhexylglycerin, Butylene Glycol, Cetearyl Alcohol, Glyceryl Stearate, Peg-40 Hydrogenated Castor Oil, Pvm/Ma Copolymer, Menthyl Pca, Ethyl Menthane Carboxamide, Tocopheryl Acetate, Disodium Edta, Fragrance (Parfum), Ci 42090, Ci 19140. Algenist Multi-Perfecting Pore Corrector Gel Moisturizer has a gel-cream texture and should help a bit if you&apos;re concerned with large pores. 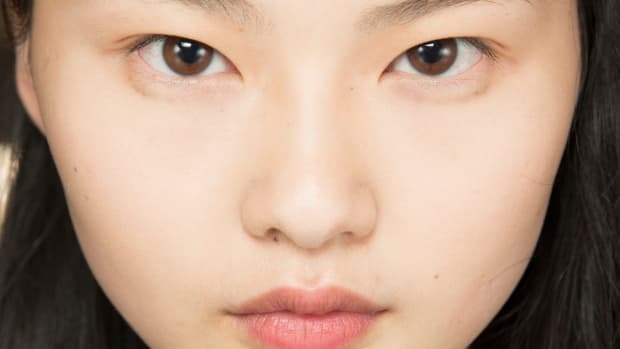 The salicylic acid gently exfoliates to remove debris (which can make them seem bigger), while oligosaccharides tighten pore walls. This formula is oil-free and low-silicone (the silicones are close to the end of the ingredients list). Ingredients: Water, Caprylic/Capric Triglyceride, Hydroxyethyl Acrylate/Sodium Acryloyldimethyl Taurate Copolymer, Butylene Glycol, Squalane, Algae Exopolysaccharides, Salix Nigra (Willow) Bark Extract, Salicylic Acid, Hibiscus Sabdariffa Flower Extract, Lens Esculenta (Lentil) Seed Extract, Glycerin, Beta Vulgaris (Beet) Root Extract, Rosa Multiflora Fruit Extract, Glycine Soja (Soybean) Extract, Sorbitan Isostearate, Dimethicone, Hydrolyzed Corn Starch, Silica, Caprylyl Glycol, Polysorbate 60, Potassium Sorbate, Ethylhexylglycerin, Mica, Dimethicone/PEG-10/15 Crosspolymer, Dimethicone/Vinyl Dimethicone Crosspolymer, Disodium EDTA, Sodium Benzoate, 3-Méthyl-4-(2,6,6-triméthyl-2-cyclohexène-1-yl)-3-butène-2-one, Phenoxyethanol, Chlorophenesin, Fragrance. Tatcha Balanced Pore Perfecting Water Gel Moisturizer (a.k.a. The Water Gel) is a fast-absorbing, balancing and pore-tightening gel for oily skin. It&apos;s particularly high in a Japanese wild rose extract that is antioxidant-rich and helps smooth the skin. This one is free of mineral oil and fragrances, although there&apos;s a little bit of silicone in here (the silane). Ingredients: Water, Glycerin, Propanediol, Rosa Multiflora Fruit Extract, Camellia Sinensis Leaf Extract, Inositol, Chamomilla Recutita (Matricaria) Flower Extract, Sophora Angustifolia Root Extract, Belamcanda Chinensis Root Extract, Houttuynia Cordata Extract, Sericin, Stearyl Glycyrrhetinate, Algae Extract, Gold, Hydrogenated Lecithin, Squalane, Lecithin, Pistacia Lentiscus (Mastic) Gum, Sodium Dilauramidoglutamide Lysine, Mica, Silica, Xanthan Gum, Bis-Peg-18 Methyl Ether Dimethyl Silane, Ammonium Acryloyldimethyltaurate/Carboxyethyl Acrylate Crosspolymer, Hdi/Trimethylol Hexyllactone Crosspolymer, Polyglyceryl-10 Myristate, Disodium Edta, Tin Oxide, Titanium Dioxide, Peg-400, Butylene Glycol, Ethylhexylglycerin, Alcohol, Phenoxyethanol. REN ClearCalm 3 Replenishing Gel Cream is a soothing gel-cream moisturizer for acne-prone skin. Full of natural ingredients, the star is licorice extract, which reduces shine, redness and irritation. I would just make sure to use this up quickly due to all the plant oils, which tend to be unstable. Ingredients: Water, Cetearyl Alcohol, Oleyl Alcohol, Cetearyl Glucoside, Glycerin, Butyrospermum Parkii (Shea Butter), Glycine Soja (Soybean) Oil, Lauryl Laurate, Myristal Myristate, Alcohol Denat, Oryzanol, Caprylic/Capric Tryglyceride, Phenoxyethanol, Vaccium Macrocarpon (Cranberry) Seed Oil, Vaccinium Vitis-Idaea (Lingonberry) Seed Oil, Sodium Hydroxymethylglycinate, Tocopherol, Carbomer, Salvia Officinalis (Sage) Oil, Linalool, Lavandula Angustifolia (Lavender) Oil, Lactic Acid, Citronellol, Pelargonium Graveolens Flower Oil, Anthemis Nobilis Flower Oil, Cassia Alata Leaf Extract, Pueraria Lobata (Kudzu) Symbiozome Extract, Geraniol, Glycyrrhiza Glabra (Licorice) Root Extract, Limonene, Laminaria Ochroleuca Extract, Citral. Omorovicza Balancing Moisturizer is a cooling gel-cream that helps regulate oil production. It absorbs fast but delivers long-lasting hydration, while also diminishing pore size. The brand&apos;s water is sourced from Hungarian mineral-rich waters, and the formula is free of silicones, petrochemicals, dyes and synthetic fragrances. Ingredients: Aqua (Hungarian Thermal Water), Glycerin, Cetearyl Ethylhexanoate, Squalane, Corundum, Stearyl Heptanoate, Cetearyl Olivate, Prunus Armeniaca (Apricot) Kernel Oil, Saccharomyces (Hungarian Thermal Water) Ferment Extract, Phenoxyethanol, Sorbitan Olivate, Carbomer, Mangifera Indica (Mango) Pulp Extract, Prunus Domestica (Plum) Seed Extract, Spondias Mombin Pulp Extract, Parfum (Fragrance), Xanthan Gum, Disodium EDTA, Pyrus Malus (Apple) Fruit Extract, Sodium Hydroxide, Malpighia Punicifolia (Acerola) Fruit Extract, Musa Sapientum (Banana) Pulp Extract, Tocopherol, Ethylhexylglycerin, Mannitol, Phospholipids, Chlorella Vulgaris/Lupinus Albus Protein Ferment, Pectin, Yeast Extract, Benzyl Alcohol, Potassium Sorbate, Linalool, Limonene, Geraniol. 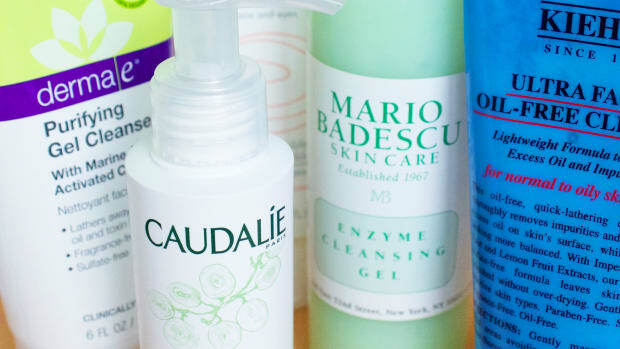 Have you tried a gel moisturizer?